Dr. Bob DeMaria, The Drugless Doctor, discusses his new book, Dr. Bob's One Minute a Day To a Healthier You. It's a daily devotional based on biblical principles, and is subtitled One Minute a Day, Health for a Lifetime. In this interview, Dr. Bob is joined by wife Debbie DeMaria, who took the picture used in this posting. L fisten toind out why some people who have cats can't get a good night's sleep, why the juicing trend isn't all it's cracked up to be, and why many of us mistakenly think the Bible tells us that John the Baptist ate bugs! 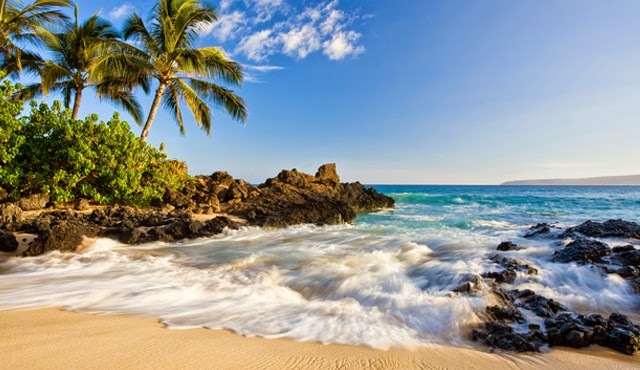 and explains how you can enter twice a day for a chance to win the trip to Hawaii. She also explains how viewers can apply to become The Travel Channel's Next Big Star. 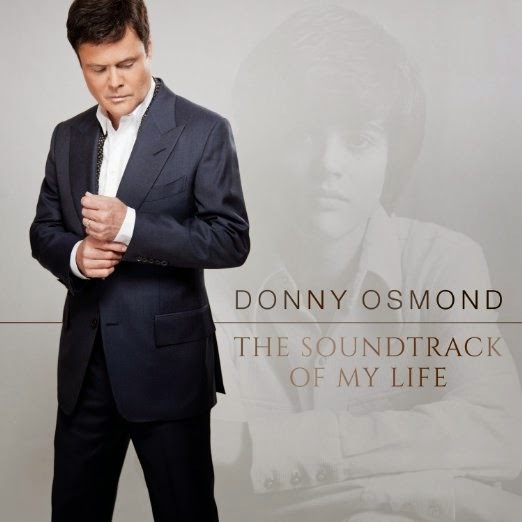 Donny Osmond covers 9 of his favorite songs, all with special meaning to him, plus records three originals for his 60th album. That's more than one album for each year of his life. He just turned 57. This interview features snippets of some of the songs from The Soundtrack of My Life, as Donny relays the stories behind the meaning of the songs. He reveals which song helped him decide to marry his wife Debbie 36 years ago, which Beatle asked for his autograph, and which Michael Jackson hit was meant for him. The effort to build the Redline Greenway, a project that will tie together eight neighborhoods on Cleveland's west side, has received a significant financial commitment. Lenny Stover and Matt Koriath of the Rotary Club of Cleveland explain their vision for the Redline Greenway. Keybank Foundation is committing $1 million dollars to the Salvation Army's effort to end human trafficking, and to treat victims once they've been identified. One of those victims was adopted by Major Lurlene-Kay M. Johnson, the Divisional Secretary of Greater Cleveland Area Services for the Salvation Army. She says 100,000-300,000 children are victims of human trafficking. Phil Kerpin, President of American Commitment explains his support for the Keystone XL Pipeline, addressing every concern cited by opponents of the project. 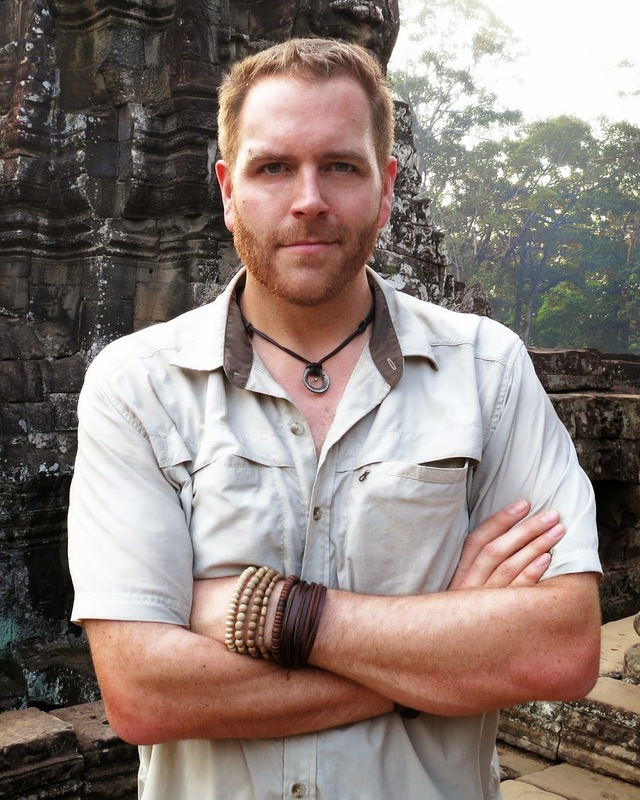 Tune into the Travel Channel on Thursday nights at 9:00 for Expedition Unknown with Josh Gates, who has hosted Destination Truth on Syfy. He has also written the book Destination Truth: Memoirs of a Monster Hunter. Rescuing futures one student at a time is the motto for EMI, Education Motivates Innovation, an organization that works with students disinterested in school, or in trouble with the law...or both. In this interview, Dr. Yvonne Conner is the Director of EMI, and says it began as an outreach ministry of the now defunct Broadway United Methodist Church. She explains how the faith-based alternative education program works. A new device has been approved by the FDA to help patients lose weight. Dr. 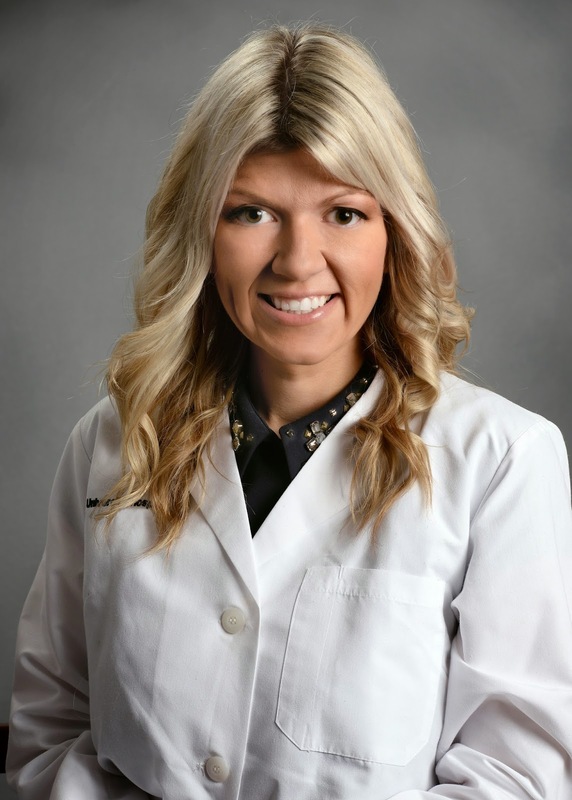 Crystal Lantz-DeGeorge, an obesity medicine specialist at University Hospitals Case Medical Center, explains that while the VBLOC device has been proven to effectively lead to long-term weight loss, patients should not expect to experience profound weight loss. Cuyahoga County Republican Party chairman Rob Frost reacts to the national party's decision to hold the 2016 convention in the month of July, and to the national leadership's enthusiasm over the convention being held here. David Oliver has retired as chief of police in Brimfield Township, following an allegation of sexual harassment. This would not be a news story outside of Portage County if it weren't for the notoriety of the chief, based on his Facebook posts. 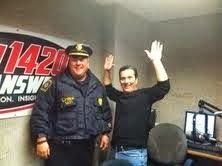 Chief Oliver's straight-shooting observations about crime and criminals have been documented on Facebook since 2010. The site once amassed more followers than the Facebook page of any other police department in the country, with the exception of New York City. A search of Facebook today finds a different Facebook page representing the Brimfield police Department. A book deal in 2013 brought Chief Oliver to WHK, where he recorded an interview with Jim. Here he discusses the book, No Mopes Allowed, along with his affection for children, the elderly, and our nation's veterans. The Chief was suspended by the township trustees on Monday. He announced his retirement on Friday, not surprisingly, on Facebook. It may be the last we hear from Chief Oliver in a while, but considering the thousands of comments, likes and shares his post has received, his observations will be missed. 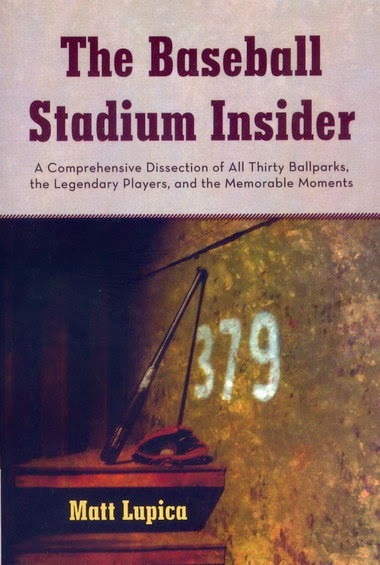 Cuyahoga Community College graduate Matt Lupica is updating his Baseball Stadium Insider, adding more facts, pictures, and quotes from players, coaches, and broadcasters, including Pat Sajak. The Wheel of Fortune host, now in his 33rd season, is the only non-baseball person quoted in the book. Listen to Jim's interview with the author to find out why. Pre-orders are available online or at 800-247-6553. 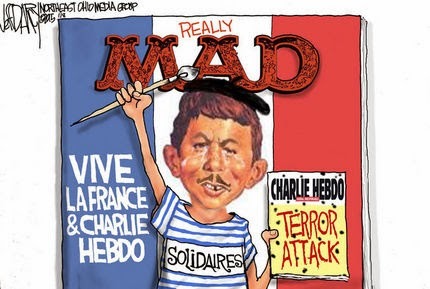 Jeff Darcy, the Editorial Cartoonist for the Northeast Ohio Media Group responds to the attack by Islamic extremists on the Charlie Hebdo newspaper in Paris. Darcy defends the right of the newspaper to publish the offensive cartoons, but says he wouldn't produce such offensive work. He explains the motivation behind his cartoon, pictured above. And he admits the majority of the critical feedback he receives comes from conservative readers. The cartoonist also writes editorials that accompany his cartoons online, at cleveland.com. Here is his response to President Obama's absence from the unity march in Paris. Drastic conditions like the dangerously cold weather we're experiencing call for drastic measures, and The City Mission is responding by suspending normal protocol to provide everyone in need with a warm place to stay, a warm meal or two, and warm clothing for themselves and their families. Rich Trickel, the President and CEO of The City Mission expresses his gratitude that there are other organizations that also help provide safe and warm shelter for Cleveland's homeless population. 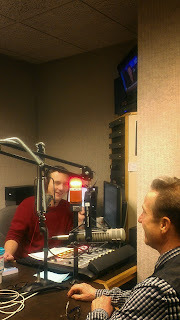 Bob's Beat becomes The Bob Frantz Authority, Monday, January 12. 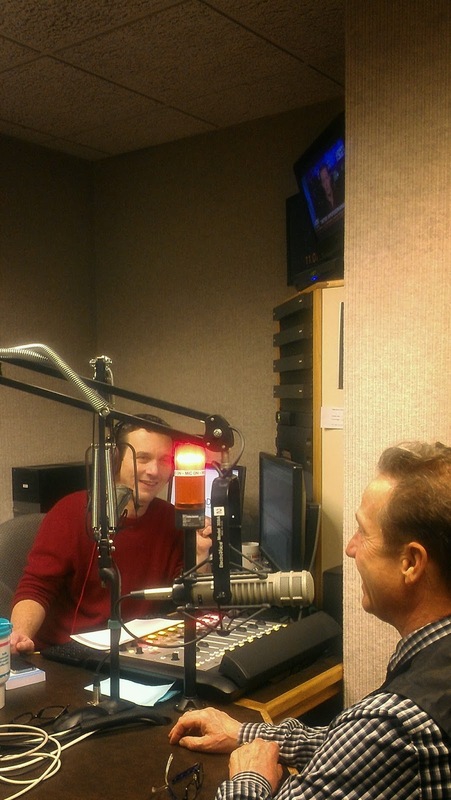 He will host a two-hour talk show, from 9:00 AM to 11:00 AM on AM 1420 The Answer. In this interview with Jim, Bob shares views he has hasn't been able to articulate about issues that have dominated the news in the past several months. 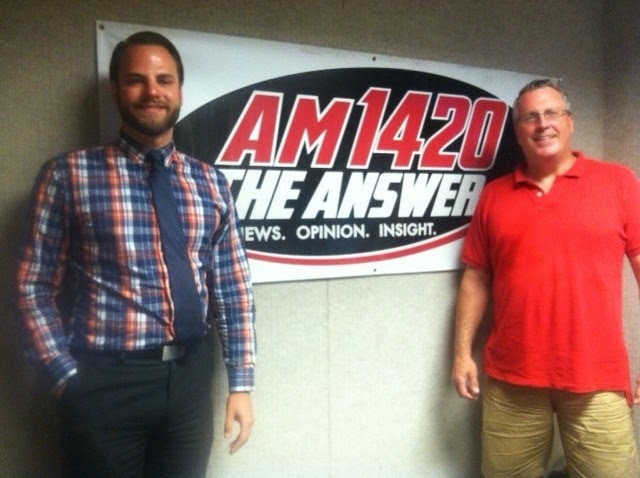 Be sure to tune-in to The Bob Frantz Authority, Monday-Friday at 9:00 AM, on AM 1420, The Answer. 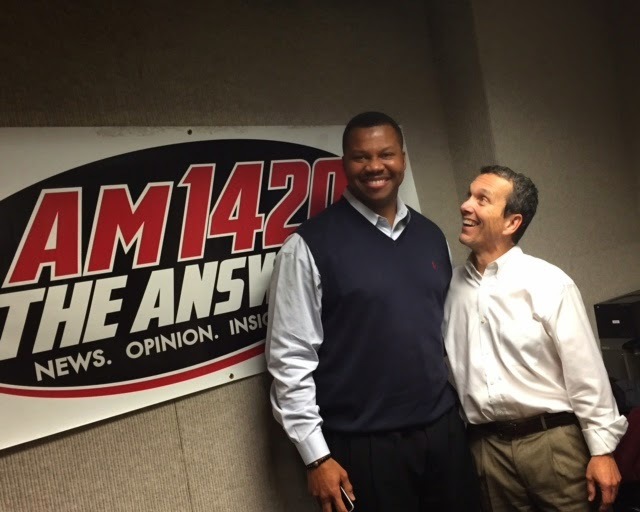 Former NFL linebacker Jason Carthen is now hosting a show on AM 1420 meant to motivate. In this interview, Jason discusses his business coaching philosophy and training strategies, along with his legendary college football career and the time he spent with the New England Patriots. You can hear Dr. Jason Carthen on "Discover the Leader in You" Sundays from 2:00-3:00 PM, or listen live at whkradio.com.